Tia Morales is used to calling the shots. 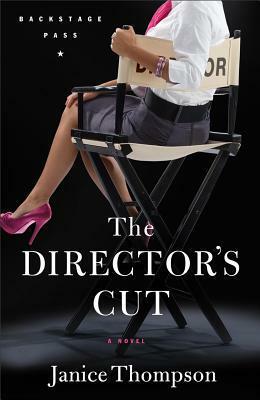 She's the director of the popular sitcom Stars Collide, and her life on set is calculated and orderly. Well, most of the time. But her life outside the studio is another matter. If only she could get her family to behave as well as her stars do When she starts butting heads with handsome camera operator Jason Harris, it's enough to send a girl over the edge. Will she ever learn to let go and take life--and love--as it comes? Full of the humor and crazy family dynamics Janice Thompson fans have come to love, this colorful story gives readers an inside look at Hollywood and a healthy dose of romance. Tia takes a lot of pride in directing a popular sitcom. In the studio, she's in control and life is organized and orderly. Outside the studio, her big crazy family brings a whole new meaning to the word chaos. Tia's main problem is her need to take responsibility for everything, even those situations and circumstances that are truly out of her control. She's obsessed with fixing everything and every body and her lessons finally come when she must relinquish control. I love Janice Thompson's characters. I love her ability with repartee and her fantastic one liners and internal character dialogue. She has mastered the art of writing about families and the love, hurt, mess and idiosyncrasies that come with any family situation. Third in the Backstage Pass series, this one is just as fun as Stars Collide and Hello Hollywood!. All your favorite characters return and stories are wrapped up. Thoroughly enjoyable and easily recommended. The books can stand alone, but they're much better when you read them in order. Available June 2012 at your favorite bookseller from Revell, a division of Baker Publishing Group. Thanks to Donna Hausler of Baker Publishing for the opportunity to review this book. You can learn more about Janice Thompson here. You can purchase your own copy here . I went into this book really not knowing anything about it, other than the fact that it was popular and sounded interesting. I liked the characters well enough but while I found them somewhat flat, there were flashes of humor and brilliance. Hopefully they will gather depth in future books. 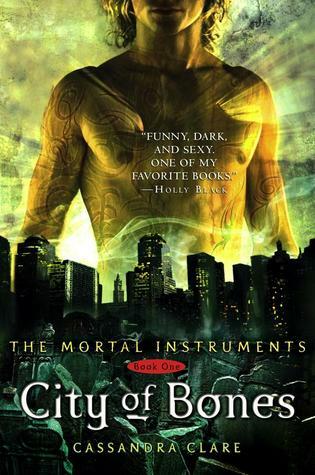 The world that Cassandra Clare tried to create was curious, but nothing really original. It was like Harry Potter meets Twilight meets Narnia meets Buffy. Honestly, there was so much detail that I found myself lost at times and I found that I really didn't care. It was as if she took every imaginary idea she had heard of or had herself and mixed them all together in one weird, convoluted world. There was a serious ick factor between Jace and Clary that I assume was more for shock value than anything else. I'm curious to see how it's all handled in later books. The story is captivating enough that I will read the next one, although mostly out of curiosity because there was nothing stellar or stand out about this one. I can see how it appeals to teens and young adults. The Seasons of the Heart series introduced us to the wonderful Muldoon family and in Spring Hope, we finally learn Cory's story. As a sheriff in Portersfield, Texas, Cory has a satisfying job and a terrific family. All he needs is a wife. When he discovers Libby Cantrell huddled in a doorway, sick and exhausted, Cory is drawn to her. He knows she has secrets and he's as determined to discover them as Libby is to hide them. I thought Cory was a little uber self-righteous and judgmental when it came to Libby's past, but it was nice to see him learn about forgiveness, just as Libby does. I loved revisiting the Muldoon family and I'm sad to see this series end. Fourth in the Seasons of the Heart series, you can click the links for my reviews of Summer Dream, Autumn Song and Winter Promise. The books can stand alone, but they are much richer stories when read in order. Thanks to First Wildcard and Althea Thompson of Charis Media for the opportunity to review this book. You can learn more about Martha Rogers here. You can read the first chapter here. You can purchase your own copy here . Henri the painter sorts through junk lots for pieces of wood to incorporate into the boat he is building, while the girls from Dora Flood’s bordello venture out now and then to enjoy a bit of sunshine. Lee Chong stocks his grocery with almost anything a man could want, and Doc, a young marine biologist who ministers to sick puppies and unhappy souls, unexpectedly finds true love. I was pleasantly surprised at how much I enjoyed this. 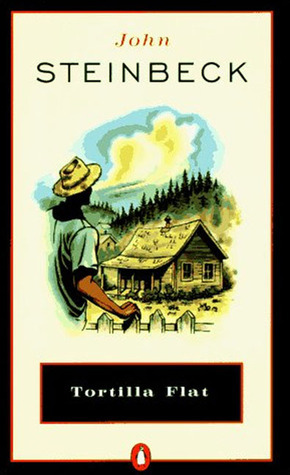 I hated Tortilla Flat which is also set in Monterey and so I was a little apprehensive about Cannery Row. However, this was an enjoyable read. I love Monterey and I'm very familiar with Cannery Row as it is today. The story here, if you can call it that, isn't particularly happy, but it's interesting and compelling. The characters are motley and colorful and as you move through their stories, they are certainly entertaining. Cannery Row was its own little community within Monterey and this is a funny, poignant glimpse into history. 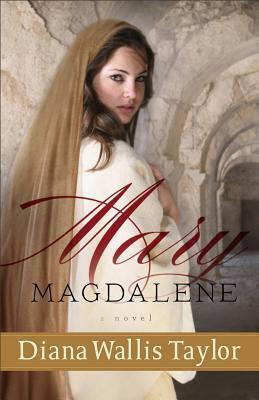 With colorful descriptions, the biblical world of Mary Magdalene comes to life. Like many of our biblical heroes and heroines, little is known about Mary Magdalene and much of what has been perpetuated through the ages is speculation or inference, not fact. Diana Wallis Taylor has crafted a wonderful story about Mary, her life and how she came to travel with the Savior. Her life, as portrayed here, while it can't answer questions about Mary, is believable. In the book of Luke, we read that Jesus cast out "seven devils" from Mary and Diana gives a fantastic portrayal of Mary before that event took place. As word of Jesus and his ministry spreads, Mary's husband brings her to him, believing that he will heal her. A wonderful cast of supporting characters brings Mary's experience to life and it is both heartbreaking and tender to read. I particularly enjoyed Mary's interactions with the apostles and the portrayal of the last days of Jesus' ministry. Available June 2012 at your favorite bookseller from Revell, a division of Baker Publishing Group. Thanks to Donna Hausler of Baker Publishing for the opportunity to review this book. 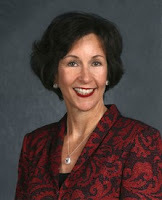 You can learn more about Diana Wallis Taylor here. You can purchase your own copy here . At their sixtieth anniversary party, Adam Carlson asks his wife, Elizabeth, for their customary waltz. After the dance they gather the family and share their story-a story of love and courage overcoming adversity and thriving in the face of overwhelming odds. It's the summer of 1946, and Adam has just returned from the war to his home in Reunion, Montana. At a town festival he meets Elizabeth Baxter, a young woman going steady with his former high school rival and now influential banker, Nathan Roberts. As Adam returns home from WW2, he finds his family in danger of losing their farm and he meets a lovely young woman he is immediately drawn to. Unfortunately, she is dating the banker who is threatening foreclosure on Adam's family's farm. I thoroughly enjoyed reading Adam and Elizabeth's story. The post WW2 setting was perfect, the villain villainous. Seriously, I hated Nathan. What a jerk. The story is captivating and simple and hard to put down. Based on a true story, this is a sweet novel about love and relationships. Thanks to LeAnn Hamby of Glass Road Media Management for the opportunity to review this book. You can learn more about Darrel Nelson here. You can purchase your own copy here . 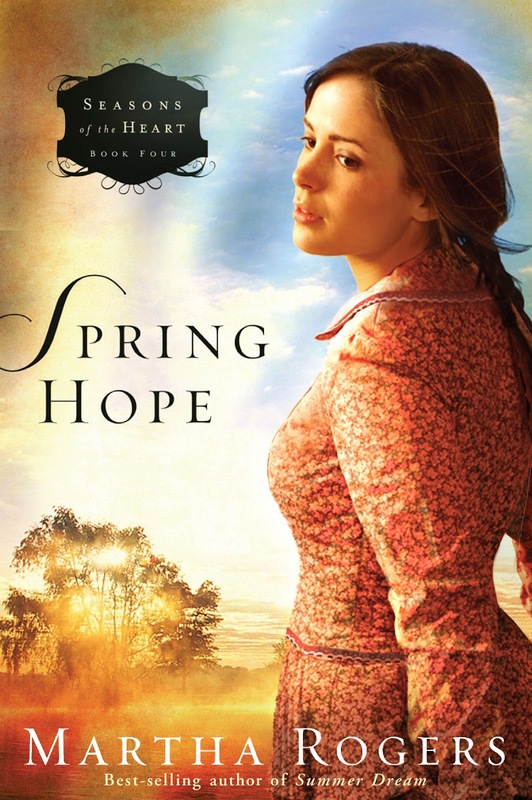 It's the summer of 1913 and Cora Kensington's life on the family farm has taken a dark turn. Not only are the crops failing, but someone dear to Cora is failing as well. Copper barons, small town Montana, family secrets and adventure. Facing the loss of the family farm and the possible death of the man she always believe to be her father, Cora has no idea what is in store for her when her biological father shows up at her home. Whisked into a new life of luxury, Cora also meets her half-siblings and they are not all welcoming to her. 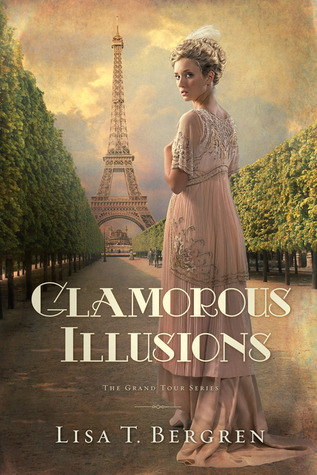 As her Grand Tour progresses, Cora discovers new people and new places, but more importantly, she discovers her inner strengths and faith in God. I don't love first person, but I liked Cora and seeing her story unfold. I loved Will and Pierre and I hope that Vivian redeems herself in later novels. I love the European setting and reading about places I've been, even if it was in a different era. This was a delightful book and one I was reluctant to put down. First in the Grand Tour series, I'm glad there are sequels, but I hate having to wait for them. Thanks to Christen at Litfuse Publicity for the opportunity to review this book. You can learn more about Lisa T. Bergren here. You can purchase your own copy here . You can see other reviews and tour stops here. Sometimes finding your future means making peace with your past. Patsy Milstrap wishes she could leave her past behind. Though she tries to put on a brave front for the sake of her family, the wounds still ache, and the scars on her soul are still deeply felt. At her concerned husband's gentle insistence, they take a vacation from South Carolina on Cedar Key, an idyllic island on Florida's Gulf Coast. A week in paradise will do them good, he says. When a familiar--and most unexpected--face greets her at a seaside restaurant, Patsy knows she can no longer run from the past. But what will opening old wounds mean? And what will the future hold? 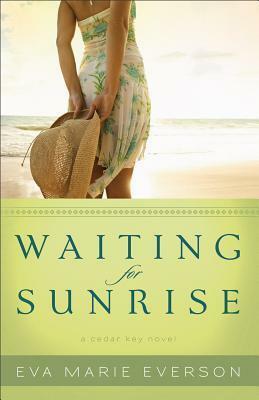 With a large helping of Southern charm, Waiting for Sunrise is a touching story of family, young love, and the need for forgiveness. Eva Marie Everson expertly draws out the bittersweet moments of life, weaving them into a tale that will envelop your soul. Struggling with the after effects of a dysfunctional childhood and believing she was abandoned by her mother, Patsy tries to project a perfect, happy front for her family. When her husband suggests a vacation to Florida, Patsy has no idea what events will unfold and how she must face her past. Told in flashbacks, Patsy's story is one that I didn't want to put down and I couldn't wait to see who Patsy sees again at the restaurant. It wasn't who I'd expected it to be. 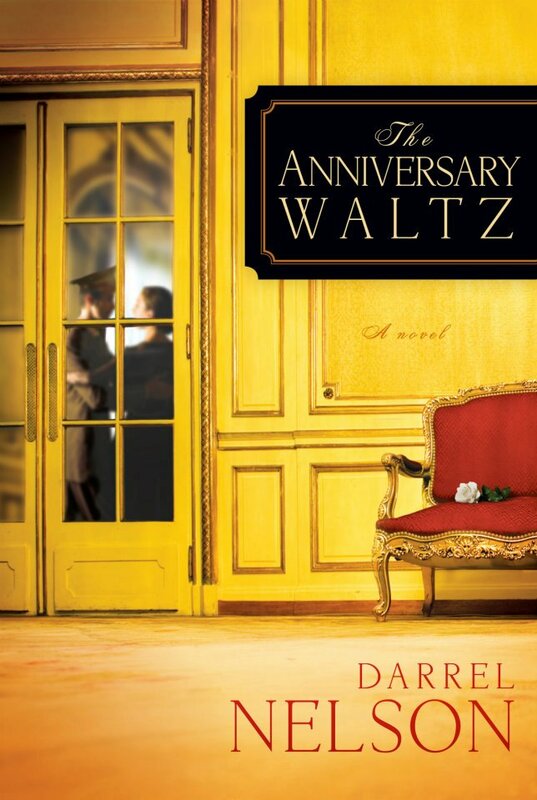 I loved Gilbert and I relished how the story unfolded and resolved. Like Chasing Sunsets, Waiting for Sunrise deals with some serious topics. Here, it's mental illness, abandonment and post-traumatic stress. But, it's not a heavy book. Rather, it's a moving story about family, faith and forgiveness. Completely enjoyable and easily recommended. Second in the Cedar Key series, the story stands alone just fine. Available June 2012 at your favorite bookseller from Revell, a division of Baker Publishing Group. You can learn more about Eva Marie Everson here. You can purchase your own copy here . Adopting the structure and themes of the Arthurian legend, Steinbeck created a "Camelot" on a shabby hillside above Monterey on the California coast and peopled it with a colorful band of knights. As Steinbeck chronicles their thoughts and emotions, temptations and lusts, he spins a tale as compelling, and ultimately as touched by sorrow, as the famous legends of the Round Table. 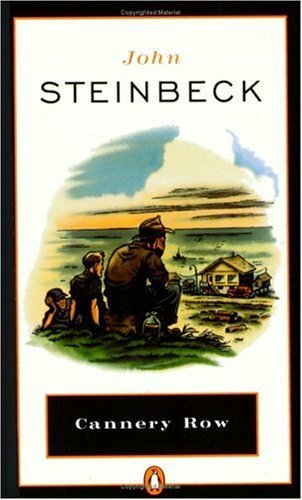 It's been a long time since I've read Steinbeck and this was one of his books I had never looked at, but I love Monterey. So, I picked this up at the library and seriously? I wish I had those two hours back. Sure, the time period was difficult and the Depression affected everyone regardless where they lived or their ethnicity. But, there's nothing redeeming about any character here. There is nothing compelling about the story and no reason for me to even want to write a review about it. I'm sure that there are English teachers out there who glory in having their students review drivel like this, but I can think of a lot more books more worthy of my time. Crazy co-workers stressing you out? Here's the solution. Let's face it. Some people just don't listen, don't care, and aren't willing to compromise. And you probably work with some of them. The incomprehensible supervisor. The person in the next office who chats more than works. The customer who, by the way, isn't always right. The good news is, it doesn't take two people to change a relationship in the workplace. 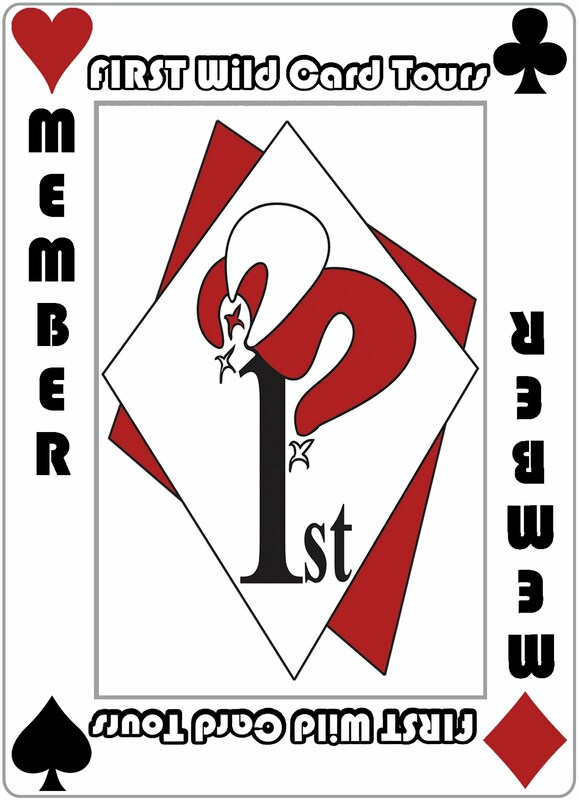 It takes one--you! Now the bestselling author of Living Successfully with Screwed-Up People offers expert advice to help you not only get along with co-workers who get under your skin but actually succeed at work in spite of them. You'll learn how to be unflappable, imperturbable, and unflustered in every workplace situation. Less stress at work can start today. So what are you waiting for? Elizabeth B. Brown assures people that there is hope for healing after the loss of a child in her first book Sunrise Tomorrow. In subsequent books she offers hope in her books to move on, to make the Joy Choice and to heal difficult relationships. She has written Sunrise Tomorrow, Coping with the Death of a Child; The Joy Choice; Living Successfully with Screwed-Up People; Surviving the Loss of a Child, Hope for Grieving Parents; and Working Successfully with Screwed-Up People. She has been involved on all levels of education, and now teaches a course on death and dying at the Quillen Medical School in Johnson City. She helped found the Hands On! Museum, a children's education-based interactive museum. Elizabeth and Paul speak on grief and healing relationships in conferences across the country. She and her husband Paul, a physician, live in Johnson City, Tennessee. They have four children and five grandchildren. 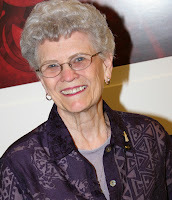 Elizabeth is active in the community in arts, education, and the church. The Brown family enjoys travel, horseback riding, and water and snow sports. They have traveled extensively throughout the world. Underlying all their activities and commitments is a strong faith that puts family first with all the responsibilities that entails, including cheering at a multitude of children's events and car-pooling. Available May 2012 at your favorite bookseller from Revell, a division of Baker Publishing Group. Thanks to Donna Hausler of Baker Publishing for the opportunity to preview this book. You can learn more about Dr. Elizabeth Brown here. You can purchase your own copy here .